I am a woman from Quebec who, after having spent ten years or so working abroad, is currently completing my fourth international cooperation mandate, including two in Haiti and two in Senegal. I have always been interested in cooperation, and life has given me the opportunity to achieve my dream of using my knowledge to help make improvements, however small they may be, in the lives of those who, unlike me, were not lucky enough to be born in Canada. I am now working as a liaison officer for volunteers and partners in Senegal, which involves making field visits to meet with them. The following is a summary of one day that really moved me! I would like to share with you the experiences I had when I conducted a recent field visit: the first took place in a typical village called Darou Rachmane, while the other happened in the city of Kaolack. Visiting these places gave me the opportunity to see something I have rarely seen in Quebec or, for that matter, in any other country I have visited or lived in. The first visit was made to see the results of a project carried out by our QSF group (a group of young Quebeckers 18-28 years old). The project was intended to help women become more independent through agricultural activities. 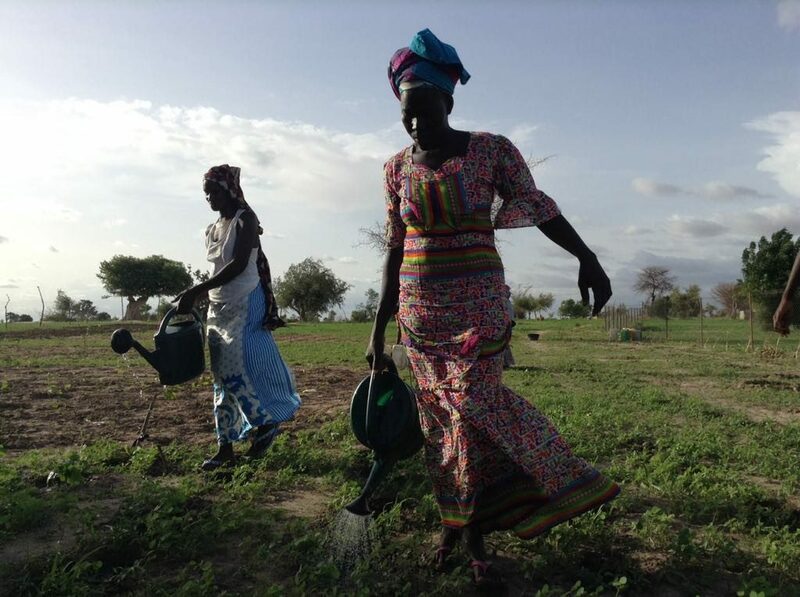 There is no running water or electricity – and of course that means no wifi – in this isolated village, but the women were eager to learn and enhance their diet by clearing and planting gardens. The mere fact that they were interested improved the social lives of the participants. And it is important to remember that these ladies, who are responsible for all household tasks, in addition to countless others, had few opportunities to meet and work together to achieve a common goal. You should have seen them smile when I visited their market garden! The women were so very diligent in getting out very early every morning to tend their crops, using water drawn from a well so deep it required a herculean effort, and returning at the end of the day to water their garden once again. Their faces would beam with pride when they realized that their efforts were not in vain! 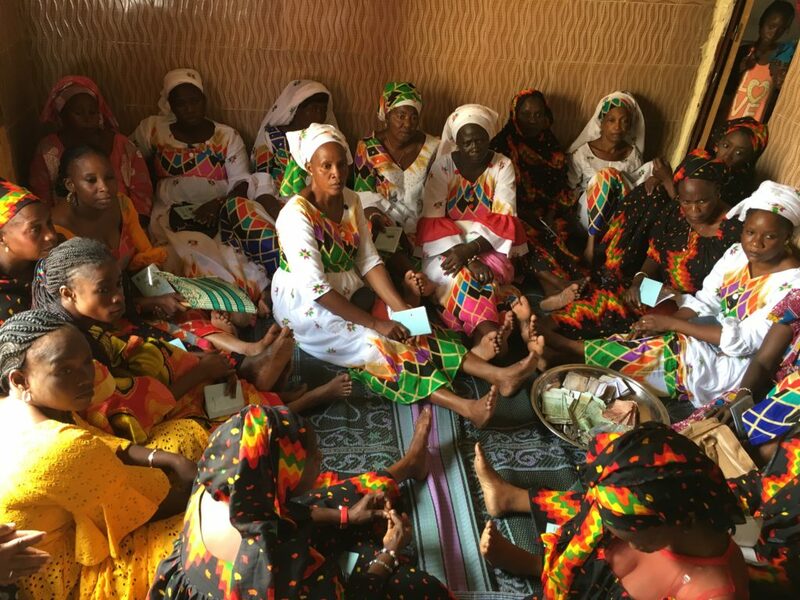 International cooperation helps these women, who are so very resilient, to realize that working together creates possibilities whose value can be assessed not only financially, but also in terms of shared social and human experiences. My visit also took me to Kaolack, where I met with AVEC (Village Savings and Loan Association). These associations emerged organically in Senegal. Generally, a group of 30 or so women get together and contribute a weekly sum. The amount is chosen democratically and at the end of they year, or timed to coincide with special events, the loan profits are distributed back to members. But above and beyond that, the fact of working together to save creates a social solidarity movement. What a great surprise it was to find myself with thirty women together in the living room of one of the members! There were all wearing identical, beautiful dresses; a fitting expression of their spirit of camaraderie and sisterhood. Sitting next to each other on the floor, young and old alike shared the floor mats in a show of goodwill. The close ties between these women – which unfortunately have been replaced in our society by a spirit of competition – left a lasting impression on me. During the meeting, which lasted about one hour, they spoke about their needs, and about what their participation as members of the group had brought them. These contributions have improved the quality of their financial, family and personal lives. I won’t forget this day that has helped me to appreciate these African women, for whom I already had a great deal of respect, all the more. Their enthusiasm, expressed in Wolof and through songs, could also been seen in their eyes that expressed so much about what they were experiencing thanks to the association. For one woman, it meant that she was able to buy a refrigerator for her small food business. The life of another was enriched by how proud her husband and children were of her newfound independence. Yet another woman spoke about the fact that it was the first time in her life that she had her own money. These are just a few examples of what these women have done. Their willingness and enthusiasm really touched me! And, to my great surprise, they gave me some of the fabric in the same colours as their own clothing. 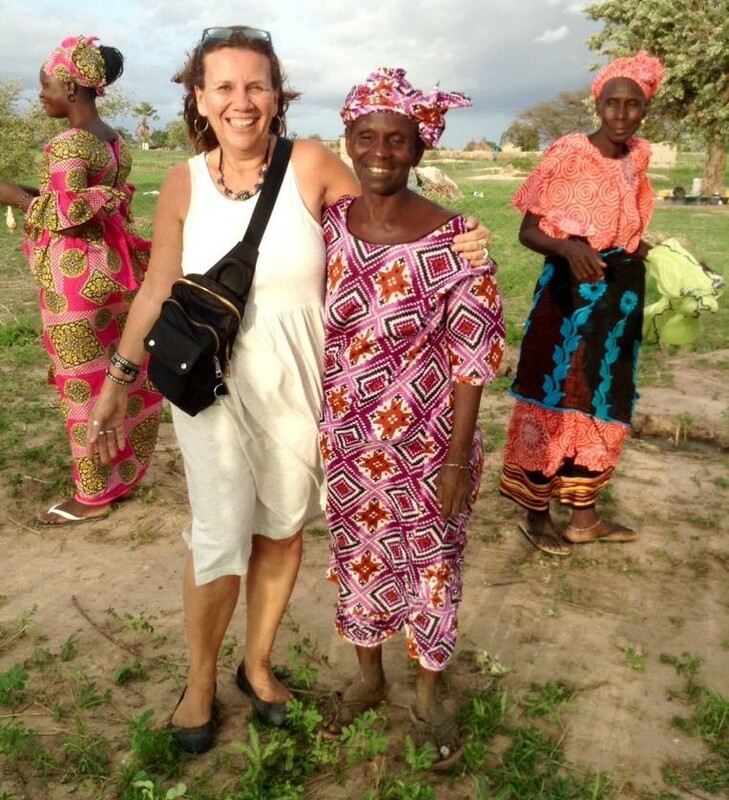 The famous Senegalese Teranga (a Wolof word for hospitality) is not just a word… It’s a reality! My international cooperation work has enabled me to spend time with these proactive and resilient women who only wish to improve their own lives but also those of their families and communities. It is essential that their voices not only be heard, but heeded, so that the social position they are owed, in such a young society, is indeed granted to them! 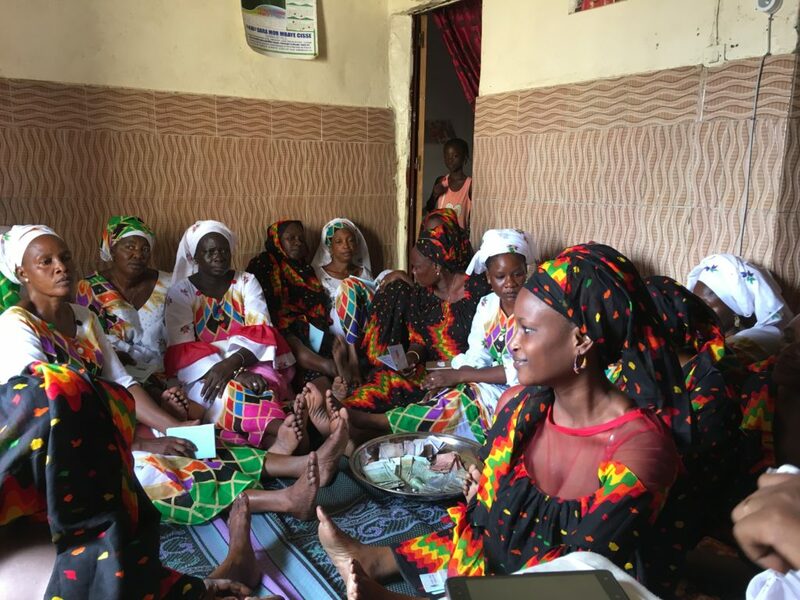 I have been in Senegal for only a short time, but these Senegalese “sisters” have had an unexpected impact on me; I wish them all the best with their projects and personal achievements. Thank you, dear Senegal, for an experience I will never forget!